On the 5th (Wed), take in the spiritual surroundings of Kali Bari Temple, then walk around Annandale Ground, then take in the awesome beauty at Kufri Fun World, and finally pause for some photo ops at Monument Rani Jhansi. To see ratings, reviews, where to stay, and other tourist information, go to the Shimla route builder . Manali to Shimla is an approximately 4.5-hour car ride. You can also take a bus. Cap off your sightseeing on the 6th (Thu) early enough to go by car to Manali. Step out of Manali with an excursion to Hot Water Spring in Kullu--about 1h 50 min away. There's lots more to do: explore the activities along Beas River, witness a stunning natural landmark at Vashisht Baths, admire the sheer force of Jogini Waterfall, and cruise along Rohtang Pass. 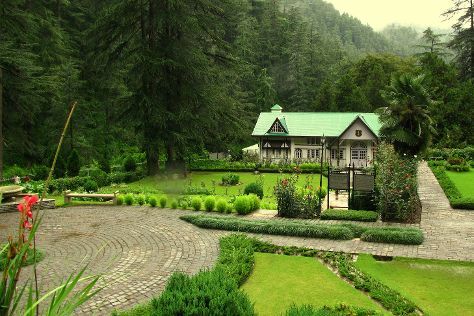 To see more things to do, traveler tips, maps, and more tourist information, read Manali day trip planning tool . Drive from Shimla to Manali in 4.5 hours. Alternatively, you can take a bus. Wrap up your sightseeing by early afternoon on the 10th (Mon) to allow enough time to drive to Dharamsala. Kick off your visit on the 11th (Tue): contemplate in the serene atmosphere at Jawalamukhi Devi Temple, then contemplate in the serene atmosphere at Bhagshunath Temple, then take in the spiritual surroundings of Dalai Lama Temple Complex, and finally take in the awesome beauty at Triund Hill. Keep things going the next day: make a trip to Aghanjar Mahadev Temple, explore and take pictures at Norbulingka Institute, then explore the activities along Dal Lake, and finally take in the dramatic scenery at Bhagsu Waterfall. For more things to do, other places to visit, maps, and more tourist information, refer to the Dharamsala trip planner. Drive from Manali to Dharamsala in 5 hours. Alternatively, you can take a bus. Wrap up your sightseeing by early afternoon on the 13th (Thu) to allow time for the car ride to Chandigarh. Get ready for a full day of sightseeing on the next day: make a trip to Panjab University, then explore the activities along Sukhna Lake, then don't miss a visit to Gurudwara Nada Sahib, and finally admire the natural beauty at Pinjore Gardens. For traveler tips, ratings, maps, and more tourist information, go to the Chandigarh tour planner. You can drive from Dharamsala to Chandigarh in 4.5 hours. Alternatively, you can do a combination of taxi and train; or take a bus. Finish up your sightseeing early on the 15th (Sat) so you can go by car back home.